Time for a garden party? 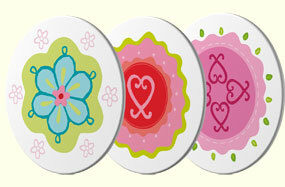 These 6 coasters with 3 motifs are made of shatterproof melamine. Set them on top of the tumbler and the coaster protects against bees and wasps! Coaster measures 3.5" diameter.